Is dry, itchy and irritated skin is driving you mad? If you answered yes then you are not alone. Almost half the population of Australia is now affected by some sort of skin problem (1999 survey, St Vincent’s Hospital). Nearly a third of Aussies will suffer with eczema at one stage in their lives, and 2-4% will suffer with psoriasis. That’s a LOT of hours spent trying not to scratch that itch! Although eczema and psoriasis are quite different, if you have one or the other it’s likely that you’ll be prescribed a steroid cream (cortisone cream) by your GP. Unfortunately steroid creams can cause more problems than they solve (like burning, itchiness, dryness, and weak, thinner skin). If you watch the Dr. Oz show then you might have already heard of Tamanu Oil. The Polynesians have used it for centuries and it has anti-inflammatory properties comparable to hydro-cortisone cream. Not only is it an anti-inflammatory, it’s a powerful topical healing agent with antimicrobial and anti-oxidant properties which helps the formation of new tissue (cicatrisation). Perfect for eczema and psoriasis sufferers (among a multitude of other things!). Mother Nature is the smartest chemist we know. Put your trust in her and throw away the steroid creams. 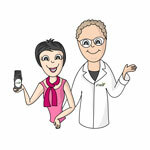 If you have an existing skin problem that you want to treat with Tamanu Oil, simply email us at contact@happyskincare.com.au before 22/05/2012. You’ll need to include a couple of sentences telling us about your condition and a photo. 10 lucky readers will be receiving a full-sized 30ml bottle! The winners will be announced on 19/05/2012. P. S. If you don’t want to enter the competition, you can still get yourself some organic Tamanu Oil from our online store. Click here to order now. The post Dry, Itchy Skin? Win 1 of 10 Tamanu Oils appeared first on Happy Skincare.